SHARMINI PERIES: It’s The Real News Network, I’m Sharmini Peries, coming to you from Baltimore. A special election is taking place this year to replace Minnesota Senator Al Franken, who resigned under pressure from sexual harassment allegations late last year. The two main candidates running in Minnesota’s August 14 Democratic primary are Tina Smith and Richard Painter. Tina Smith is temporarily occupying the Senate seat in Minnesota and Richard Painter is the former ethics lawyer for George W. Bush. And he is running on an anti-corruption platform that calls for hearings into whether President Trump should be impeached. For a long time, he was a registered Republican, but switched to the Democratic Party, saying that Republicans have lost their way. Since 2016, he has been the vice chair of the group Citizens for Responsibility and Ethics in Washington, which is also known as CREW, and he’s also the S. Walter Ritchey Professor of Corporate Law at the University of Minnesota Twin Cities. And to talk about his Senate run for Democratic Party ticket is Richard Painter. Thanks for joining us, Richard. SHARMINI PERIES: Now Richard, you have attracted a lot of attention because of your call for impeachment hearings against Donald Trump. Now, in your legal opinion, what is it exactly that Trump has done that is an impeachable offense? RICHARD PAINTER: Well, with respect to evidence of high crimes and misdemeanors, we are certainly well beyond the point we were in 1973, when the United States House and Senate convened hearings in the Judiciary Committee to look at the conduct of President Nixon and others in his administration. The evidence with respect to President Trump and others, including potentially, Vice President Pence, involves obstruction of justice in the Russia investigation, the firing of the FBI Director, James Comey, attempts to fire others in the Justice Department, trying to persuade the Attorney General, Jeff Sessions, to unrecuse from the Russian investigation so he could, in turn, fire Robert Muller, drafting of false statements by President Trump’s son, Donald Trump Jr., In connection with the Trump Tower meeting- it goes on and on. There is a clear attempt to obstruct the Russia investigation, and that could very well be criminal obstruction of justice. That is an inquiry that has to be conducted by the House and the Senate Judiciary Committee. We also have, of course, the underlying collaboration with the Russians. We have the President of the United States, and potentially also the Kushner family, Jared Kushner, receiving profits and benefits from dealings with foreign governments, in violation of the Emoluments Clause of the United States. That is strictly prohibited under the Constitution and is a critically important anti-corruption provision of the Constitution that needs to be enforced. It’s not being enforced by this Congress, but it needs to be done. We also, of course, have the president blatantly violating the First Amendment, a right of freedom to exercise religion, through discriminatory steps he’s taken toward Muslim Americans. And his threats, and indeed some hostile actions toward the free press, also are in violation of First Amendment. So, this president has some serious problems under the Constitution with his behavior. And we’re well past that time where the House and Senate Judiciary Committee need to be investigating. SHARMINI PERIES: All right, Professor Painter, where are these proceedings at, in terms of the charges against Trump that you have filed and the status of them? RICHARD PAINTER: Well, the proceedings that should be happening in the United States House and Senate aren’t happening at all, because the Republicans that are in control of both houses don’t want to do anything about Donald Trump. They’re too busy investigating the FBI for spying on Russian spies. I thought that’s what the FBI was supposed to do, but they’re doing that, and they’re going through Hillary’s email, or whatever else they do. So, there’s no investigation over there. So, that has led those of us who are concerned about President Trump, when we believe we have an avenue of belief in United States federal courts, to take action. The lawsuits that I’m involved in concern the Emoluments Clause of the Constitution, which prohibits the foreign government profits and benefits going to the president or anyone else holding a position in the United States government. There’s three lawsuits. And one of those, brought by the Attorney General in the state of Maryland, has proceeded beyond the motion of this first stage. The judge allowed the suit to go forward and there will be discovery, particularly with respect to the Trump Hotel and what’s been going on down there. There are two other lawsuits, one in the federal district court in New York, which was dismissed- we are appealing that one- and another one brought in The District of Columbia by Democrats of the House and Senate. And we have yet to get a ruling on that. But only one of these suits, and that was the Maryland suit, need proceed for us get a ruling from the judge as to what the Emoluments Clause requires the president to do, by way of desisting from his receipt of unconstitutional payments from foreign governments. SHARMINI PERIES: All right, Professor Painter. Now, you are a newcomer to the Democratic Party, and some in the Democratic Party are inclined not to proceed down this road of impeaching the president. A, they say it’s because it is a distraction. And then others say that, because if they impeach Trump, then the replacement, Vice President Mike Pence, would not to be any better, and in fact, his ideological and fundamental beliefs could actually worsen the situation. What is your response to such concerns? RICHARD PAINTER: Well first, we have to have the hearings of the House and Senate Judiciary Committee. That’s what we did in 1973. I was only twelve years old, but I watched on television. And through the course of the various investigations into the Nixon administration, it turned out that both the Vice President, Spiro Agnew, and President Nixon were forced to resign. We don’t know where we are with respect to Vice President Pence until we have the facts. He has had very different stories at different times about what he knew about Russia and what he knew about various people inside the White House who had meetings with Russia and Russian officials that were not disclosed. So, those questions need to be asked, and then we can figure out where we are once the investigation has taken place. And then, the House can decide whether they want to impeach the president, the vice president or anyone else, and The Senate can decide how to act. But you cannot act without the facts. It’s critically important to start investigating. And we’ve lost two years here, because the Republicans, who control the House and Senate, have no appetite for investigation of anything other than Hillary or the FBI or Obama. SHARMINI PERIES: Now Professor Painter, again, your political opponent in the Democratic primary, Senator Tina Smith, now she says you are actually a Republican in disguise. What are some of your policy positions to counter that? For example, what do you think of single-payer healthcare and issues like global warming and climate change and campaign finance reform and gun control? And if you wish, we can take each of these at a time. Let’s start with health care. RICHARD PAINTER: Well, these labels, Republican, Democrat, only mean so much. I’ve spoken with quite a few Republicans, including former Republican officeholders in Minnesota, who might be characterized as more progressive than the current establishment and the Democratic-Farmer-Labor-Party. So, let’s focus on the issues. I think single-payer health insurance is the appropriate path right now. It really may be the only path we can take if we want to insure every single American at an affordable cost. And it’s critically important we do insure every American. And we cannot have the situation continue where we have multiple insurers who are pocketing large profits, paying those out to their shareholders and their executives. That is a very, very large amount of money going to the middlemen in the insurance companies alone, not to mention the drug companies and the medical device companies that are charging enormous prices in the United States because we don’t have a single payer insurer to negotiate with them. You can pay several times more for drugs and medical devices here than it costs Canada or Western Europe. And that is just flat out wrong. The Democratic-Farmer-Labor establishment here in Minnesota, I don’t see being willing to embrace single-payer, and indeed is more beholden to the medical device companies, including Medtronic. The CEO of Medtronic had a fund raiser for Senator Smith just two weeks ago at his home. At a certain point, we need to distance ourselves from industry and the interests of industry, even Minnesota industries, although I will note that Medtronic is now an Irish company because they don’t want to pay taxes in the United States. But we need to distance ourselves from industry and those types of interests and focus on what’s in the interest of the American people. And it is no longer in the interest of the American people that Medtronic can charge more for medical devices here than they do in Canada and Europe. So, we need single-payer. That’s where I come out. SHARMINI PERIES: And then, what about climate change and global warming issues? What is your position, and what can be done in light of the fact that Washington has rejected the Paris Climate Agreement? RICHARD PAINTER: Well, I think it’s widely recognized that we have a very serious crisis with climate change and that it’s caused by CO2 emissions. I think the appropriate measure would be a carbon tax and other steps to cut drastically back on carbon emissions, and then subsidize other forms of energy that do not contribute to CO2 emissions. It’s absolutely critical that the United States get back into the Paris Accord. So, that’s an area where we’ve certainly heard others in the Democratic Party say that’s what they want to do, although I’ve not heard as much mention of the carbon tax because politicians are afraid to talk about taxes these days. But it’s a very, very important issue and we need to focus on it. Here in Minnesota, we also have threats to our waterways from copper-nickel mining proposals from various billionaires overseas who want to come into Minnesota and pollute our waterways while mining for copper and nickel. I’m categorically against that. The environmental groups are categorically against it. But unfortunately, the Democratic-Farmer-Labor Party establishment has drunk the Kool-Aid on copper-nickel mining and is wholeheartedly embracing one of the mines and flirting with the other one. And I think that’s very, very unfortunate for our future. We have wonderful waterways, in the Boundary Waters and elsewhere in Minnesota, that we want to protect for future generations. And that needs to be a priority. The hostility is coming from President Trump and his administration and the people they have in charge, including Scott Pruitt at the Environmental Protection Agency. And he’s really, utterly worthless over there. He’s not doing anything other than dismantling the Environment Protection Agency. This is a problem that is very difficult to address unilaterally in a single state. We certainly can protect our waterways, the second issue I mentioned, unilaterally. I think we can take on the copper nickel mining interests, if we will, at least certainly if I have a say about it. But climate change needs to be addressed at least on the national level, and really it needs to be addressed internationally. And that means we need to get rid of a president and a vice president and an administration that will not cooperate with other members of the global community in addressing climate change, which is really an enormous threat to the habitability of Planet Earth for future generations. SHARMINI PERIES: Now, states like Hawaii and also California are at least working towards a mission towards a zero-carbon economy. Would you support something like that? RICHARD PAINTER: I support it. And California, of course, is an enormous state which could lead the way on things like this. But once again, if we don’t address it at the national level, we’re only going so far. And certainly, our state government ought to do everything it can to cut down on CO2 emissions. But pushing this problem down to the state level is not going to work. Indeed, it has to be addressed on a global level by all of the industrialized countries and others as well. And I certainly don’t want to see the Trump administration say this is something the states can deal with, if they so choose, because it’s just not going to work that way. 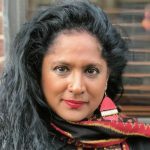 SHARMINI PERIES: Professor Painter, Washington is unraveling Dodd-Frank and finance regulations that have been put in place in order to avoid the kind of Great Recession we saw in 2008. Now, as those are getting unraveled, what can be done, you think, to protect the financial industry and protect us, the taxpayer, from having to pay for that kind of banking bailout we experienced in 2008? RICHARD PAINTER: Well, of course I’m running for the United States Senate, so I’d be focusing on the federal regulation. I do not believe that the federal government should be preempting state law, which provides additional protection to investors against securities fraud. Indeed, twenty years ago in 1998, I testified in front of both houses of Congress, strongly opposed to a measure that preempted state securities fraud laws and investor protection laws at the state level. So, the federal government certainly should not interfere. States should be able to impose additional restrictions on banking activities and actual services activities inside the state. But once again, as we learned in the 1930s, it is not adequate to push financial services regulation just down to the state level. There needs to be a robust system of federal regulation of banking and the securities industry. We established that in the New Deal, and there have been several statutes that strengthen the protection of investors, including the Sarbanes-Oxley Act of 2002 and the Dodd-Frank Act of 2010. But the Trump administration is determined to undo a great deal of this. President Trump has brought into his administration quite a few hedge fund people and bankers from New York. And real estate people, of course, love easy money from backers. And they want to dismantle the federal regulation. I think this is potentially very dangerous, and could lead us to another financial crisis, similar to what we had in 2008. SHARMINI PERIES: All right, Professor Painter. Now, you’ve been a very good advocate of campaign finance reform. So, tell me about the issues you find problematic currently, and how you would address them when it comes to campaign finance reform. 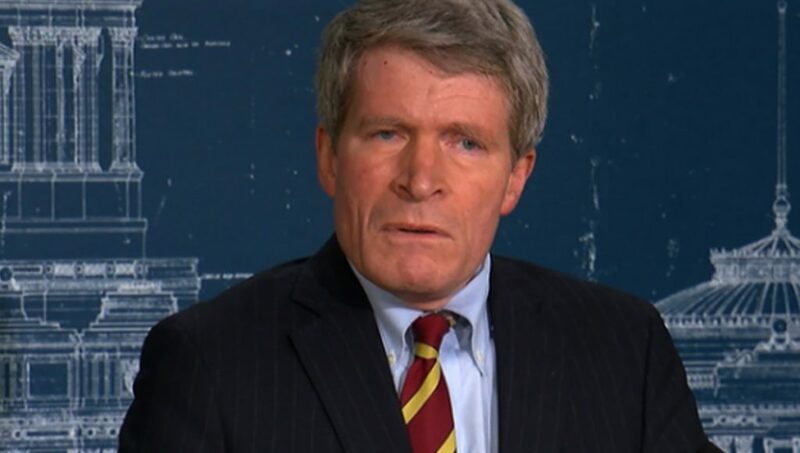 RICHARD PAINTER: Well first of all, the United States Supreme Court had no business getting into striking down the McCain-Feingold Act, which is what the court did in Citizens United. The Supreme Court should reverse its holding in Citizens United, and I will not vote to confirm anybody on the Supreme Court who does not realize the error of the Supreme Court having done that. Second, we need to have much more transparency with respect to the money that flows into dark mommy organizations and other entities that are conducting electioneering activities. President Obama called for additional transparency in this regard and he was just simply ignored by, I believe, a Democratically-controlled Congress at the time, because they didn’t want to disclose their own contributors, much less the Republicans. And then third, we need to bring in small-dollar donors and have tax credits for small-dollar donors, so politicians and elected officials can be dependent upon small-dollar donors, rather than on the super PACs and big money. Finally, we really need to insist that candidates have debates. And I’ve asked Senator Smith to debate me. So far, no response. But if candidates have debates, and we were to take those and put them up on YouTube or somewhere else on the Internet, people would watch the debates. That would be a very constructive use of social media, of the Internet, to promote democracy. Instead, we have candidates who refuse to debate, and then social media is dominated by various bots. And the Russian stooges go on Facebook and pretend they’re somebody they’re not, and people vote based on false rumors and false statements about the other candidate’s position. It goes on and on. Voters need to decide whether they are going to insist upon debates and accurate information from the candidates, or whether they’re going to continue to listen to the trash that’s put up on the social media, or the sixty second soundbites, thirty second soundbites, that are purchased by super PACs and dark money organizations, on TV. None of that really has very much information that voters should care about or really would find informative. But unfortunately, too many decisions, the polls, are based on these types of fraudulent electioneering communications. SHARMINI PERIES: All right, Professor Painter. Give us a sense of your position on gun control. RICHARD PAINTER: We need some reasonable regulations. And I’m not against guns any more than I’m against automobiles, but we have some rules with respect to automobiles. You have to have a license, there’s a registration system, the authorities know what automobiles you have in your garage. And somehow, we’ve become obsessed with this idea that you ought to be able to own a gun and have the police not even know about it, and give it to anybody you please, without any kind of a background check, which is what goes on when guns are sold at gun fairs and through the mail. This is just the absurd. We can have guns, and people have private ownership of guns. But a licensing registration system or other regulations, including background checks, they make sure that the people who have guns are the people who can safely operate the guns, and keep them away from individuals who are dangerous. SHARMINI PERIES: All right, Professor Painter. Finally, now your primary opponent, Tina Smith, enjoys the support of the Democratic Senatorial Campaign Committee. Now, this presumably gives her a significant advantage in this race. How do you differentiate yourself from your major opponent there? RICHARD PAINTER: Well first of all, the Senatorial Committees are collecting enormous amounts of cash, PACs, and they operate their super PACs. You know, I kind of go up against all of that. I refuse to take any money from PACs, and I don’t want anything to do super PACs. I don’t want super PAC supporting me, that’s what corrupts our campaign finance system. Now, the Democrats say they need to have this money to go up against Republicans, but then they blow their cover and they show how completely absurd this is, when in primaries, the Senatorial Committee is using PAC money, super PAC, money against other people competing in Democratic primaries. It’s just absurd. And this is why our system is so messed up. We need to stand up for campaign finance reform. Second, I am different than Senator Smith in my stance on healthcare. I made it very clear, I am for a single-payer system. I am not going to kowtow to the medical device companies. Both of our Senators have urged Congress to repeal the tax on medical devices that’s in the Affordable Care Act, and I just don’t buy into that. That tax is there for a reason, the tax is there because they can charge a lot more for those medical devices in the United States than they charge in Europe and in Canada. And I don’t care if Medtronic has its headquarters here in Minnesota, even though I will say, once again, they are incorporated in Ireland because they don’t want to pay taxes. You know, I feel very strongly, we need single-payer health insurance and no more kowtowing to drug companies, insurance companies and medical device companies. I’ve had it with that. And then, on the protection of the environment, I’ve made it very clear I do not want copper-nickel mining going on in Minnesota near our waterways. It is extremely dangerous. These are mines owned by billionaires from Europe or South America who really couldn’t give a rat’s behind about the environment here in Minnesota. And not one of them should be allowed to open. And unfortunately, Congress has a role, because one of these mines wants to operate on federal land and wants to work some sort of swap of its land for federal land so it can get the federal land and operate there without obeying the environmental laws. And to that I say categorically, no way. And unfortunately, Senator Smith, along with the rest of the establishment, the Democratic-Farmer-Labor-Party, has embraced this mining proposal for whatever reason. It’s a terrible idea. So, there are differences of opinion, and we’d agree on other things. But we should have a debate and discuss these issues in a debate, put it up on the Internet for everyone to watch. And they should certainly get all that super PAC money and PAC money out of this primary. And I don’t want to see it the general election. It’s what’s ruining our country. SHARMINI PERIES: All right. Professor Painter, I thank you so much for joining us, and I wish you all the best. And also, we will invite your opponent, Senator Tina Smith, to come and address some of the same issues you’ve addressed here, as far as her campaign is concerned. And perhaps that could serve as a debate if she won’t confront you directly. I thank you so much for joining us.